On March 14, the New York State Senate released a FY 2017 budget proposal that would divert $138 million from the Regional Greenhouse Gas Initiative (RGGI) auction proceeds to the state budget, including $23 million to the general fund, $100 million to subsidize the operations of certain nuclear power plants that are no longer financially viable, and $15 million for a workforce development program. The amount that the Senate has proposed diverting from the RGGI fund for FY 2017 is more than 80% of the total value of RGGI auction proceeds earned by New York in FY 2016 (which totaled approximately $166 million). 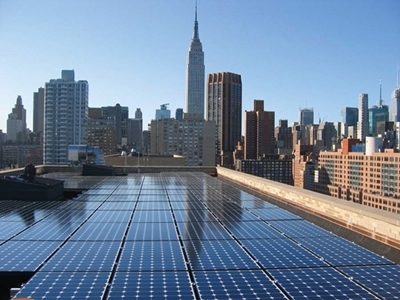 As detailed in the RGGI investment plan, these funds are typically used to support energy efficiency and renewable energy programs in New York State. This is not the first time that the legislature has diverted RGGI proceeds for other purposes—it also diverted $90 million in 2009 and $41 million in 2015 to the general fund. If the Senate proposal is approved, the diversions will total $269 million—nearly 30% of the $925.8 million in auction proceeds that have been collected since the program was launched in 2008. The wise stewardship of RGGI funds has ensured the deployment and use of renewable energy and efficiency initiatives. Utilizing RGGI resources to supplant funding for items in the state budget significantly limits the state’s ability to support existing programs, like Green Jobs Green New York, or new initiatives aimed at incentivizing zero emission vehicles—policy priorities reflected in the budgets advanced by the Legislature. Of course, the legislature is not bound by executive rules, but legislative leaders should nonetheless consider the underlying purpose of those rules and whether it is in the public interest to use the RGGI proceeds in this manner. For those unfamiliar with the program – RGGI is an interstate cap and trade program aimed at reducing CO2 emissions from the electric power sector. Nine states currently participate in the initiative: New York, Connecticut, Delaware, Maine, Maryland, Massachusetts, New Hampshire, Rhode Island and Vermont. Most of the carbon allowances are auctioned and the proceeds of those auctions are typically used to promote energy conservation and renewable energy programs. More information about the program is available here. Nuclear power is the only way to stop making CO2 that actually works. To stop Global Warming, we must replace all large fossil fueled power plants with nuclear. The only real way to reduce CO2 production from electricity generation is to replace all fossil fueled power plants with the newest available generation of nuclear. Nuclear can load-follow fast enough as long as wind and solar power are not connected to the grid. Generation 4 nuclear can ramp fast enough to make up for the intermittency of wind and solar, but there is no reason to waste time and money on wind and solar. Red herring: something, especially a clue, that is or is intended to be misleading or distracting. Exactly. The coal industry, its shills and its dupes, continue to waste time by diverting us to wind and solar power. Wind and solar are purely propaganda designed to prevent the demise of King Coal. As the coal industry knows perfectly well, if there is no resistance to nuclear, King Coal will die immediately. Nuclear is very dangerous if you are the coal industry. Coal is the one that is dangerous to people. The “social movement” to achieve personal energy supplies rather than rely on “evil” corporations is also a red herring. What we are trying to avoid is a population crash caused by Global Warming, overpopulation and resource depletion. Overpopulation cannot be solved by moving people about. Corporations are not the source of the problem except for the fossil fuel industry. Attacking the collective nature of the electric utility industry is counter-productive. Nuclear with fuel recycling is renewable for all practical purposes. We have a billion year supply of nuclear fuel available on this planet.